One Day More Fitness Blog: Setting Up the Plan - One Step At a Time... Very Long! Setting Up the Plan - One Step At a Time... Very Long! I'm still struggling with food, especially sugar and carbs, but I've been working really hard on the plans for how to succeed. I've been doing a lot of research and reading between the different keto support groups I belong too and I realized that I've been taking in more fat and less protein than I actually need, especially as I get ready to start working out with weight again. The way I'm going, or at least the way my plan and my macros were set up, I will end up losing more muscle than fat and that's not what I'm going for. So yesterday I worked with a really good keto calculator and I recalculated my calories and macros. The funny thing is, my fat and protein macros are now very, very close to what they had been between June and December when I lost the greatest amount of weight so obviously I was doing something right lol. The only macros that really changed are my carb ones since I dropped them down from 49 total allowed carbs to 40 total allowed carbs (under 25 net most days). Weeks 1-2: focus on calories and staying under my carb goals until I'm past the cheating stage and feel secure in my plan. Eat one veggie/berry serving a day. Weeks 2-4: add focusing on hitting my protein goal with healthy sources of protein (preferably "real" food and not relying shakes and bars). Add another veggie/berry serving to the day. Weeks 3-5 add trying one new keto recipe a week while sticking with the previous steps and add another veggie/berry serving to the day. After Week 5 - keep trying new recipes while staying on top of the other steps and keep working on getting in healthy low carb veggies. 1) Make a final decision and stop screwing it up. I either do strict keto or I don't. There is no in between for me and I know that strict keto is what I need or else I WILL gain back everything I have lost so far. So the choice is do or die. That's all there is to it. 2) Pick my Day 1 and stick with it! Also do a new Day 1 weigh-in and blog/Instagram post. 3) Track my food daily on My Fitness Pal. 4) Pre-plan my meals and log them at least a day ahead of time so I know exactly what I will be eating the following day and where my macros will fall. 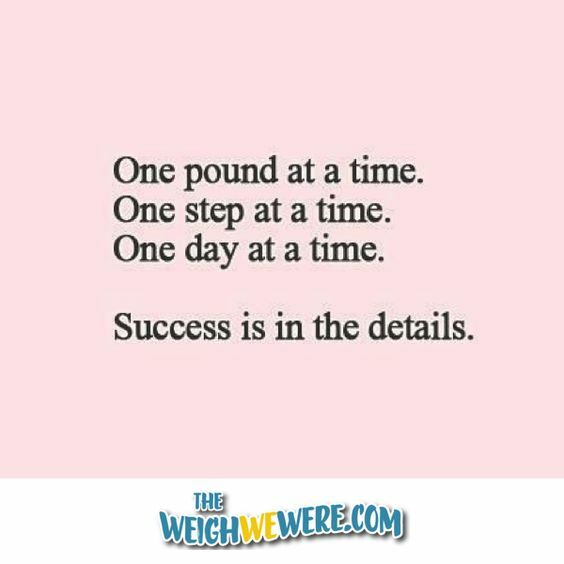 5) Track, weigh, measure all foods. Nothing goes into my mouth if I don't know its breakdown. 6) Blog or Instagram (I haven't decided which one yet) my nutrient breakdown from MFP so that others can see how I did. This will allow me to look back and see how I'm progressing and it will keep the cheating at bay because I won't want to share my nutrient breakdown if I cheat and knowing I have to share that info at the end of the day will help keep me on track. 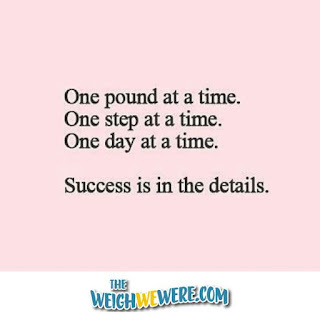 7) Weigh-in officially once a week (Thursdays) and track that number but check weight every morning just to keep an eye on how it varies and what seems to cause the variance. 8) Start by blogging my first 5-10 days of no cheating daily, then blog every 5 days of no cheating and so on until I feel like I'm in a good place with it and that I have it under control again. After that I can do a blog post on "no cheating" every 25 days or so. 9) Get a reward for every 25 days of no cheating (25 day increments are easier for me to track especially as you get up into the higher numbers). 10) Start the goal of 10,000 steps a day as of February 1st and aim for that goal daily. 11) Start a planned weight training at home workout as of February (no specific date chosen). 12) Take measurements every 6 weeks and log them. 14) Focus on each day, each pound, each meal and each workout at a time and takes things day by day and hour by hour if need be. 15) Reread my blog posts from between June to December when I was successful when I feel down to keep myself going. Especially reread The Secret to My Success 1 and The Secret to My Success 2. Also reread them and posts on the keto boards I follow about how cheating will affect me and harm me in the long run anytime I feel tempted or on edge! 16) NO CHEATING. None. I can NOT handle it and it's NOT worth it!!! 17) Do one fitness challenge a month. It can be anything as long as it's something! I'm really interested in yoga challenges right now! 18) Remember, I'm human and sometimes I will make bad choices, sometimes I will make mistakes, sometimes I will backtrack but as long as I don't quit and find my way back to where I need to be, I'll be okay! This is all I have for now but I may go back in and edit to add more as I think of it! !